For the first time ever, Tony was craving frosting, not cake (yes, the man has a big sweet tooth). Typically, I’m the one who would rather pile a big heap of creamy frosting on a graham cracker and call it a birthday cake, while he used to be happy with the cake alone. It seems that I have converted him. So I happily headed to the kitchen to whip up a batch of creamy vegan frosting. Little did I know at that moment (he told me later) that he would have been happy with the vegan frosting and a spoon. 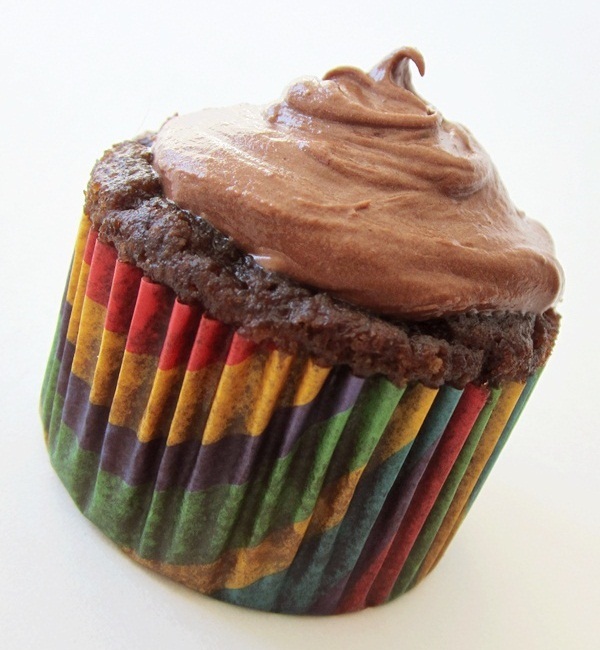 To make it a complete package, I decided to trial a grain-free chocolate cupcake recipe for his gluten-free needs. The cupcakes were a total bomb. I mean, they were fine as a simple vessel for this truly amazing milk chocolate vegan frosting, but I would never make them again. We did end up eating the leftover frosting with a spoon, sandwiched between graham crackers (just me, we didn’t have any gluten-free ones on hand), and as an ice cream topping. Did you know that dairy-free ice cream and frosting are pure heaven together? A sugar bomb, yes, but oh so worth it. I actually set out to make a simple chocolate dairy-free and vegan frosting, but this really did turn out like soft, sweet pillows of milk chocolate! It was definitely a pleasant surprise. I know, this isn’t a healthy recipe. I went for the gusto since Tony really wanted a “true dessert,” and I’d rather he have that at home where I could control the ingredients. I’m also a big believer in moderation. I like sweet treats, especially vegan frosting, on occasion, too. Strict vegans, please note that some brands of powdered sugar may not be vegan. 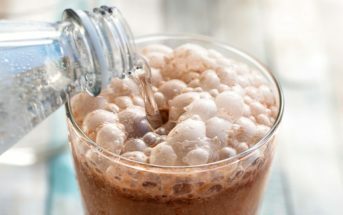 For this recipe, I used Wholesome Sweeteners Organic Powdered Sugar, which is certified vegan and is even corn-free (made with sugar and wee bit of tapioca starch). 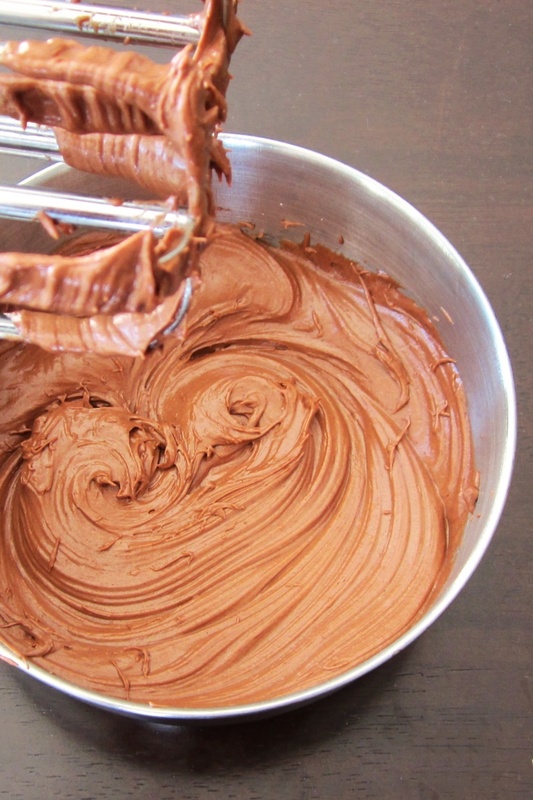 Now go, make this incredible, easy, 5-minute milk chocolaty vegan frosting now! Oh, and if you have a good gluten-free chocolate cake recipe to recommend, please do feel free to comment with the link below. Fortunately, a big gob of this awesome frosting helped to mask the imperfections of the cupcakes that I made for a yummy overall dessert. 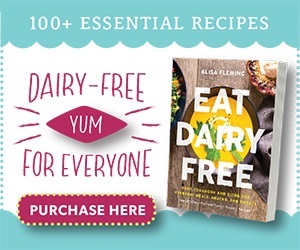 By ingredients, this recipe is dairy-free / non-dairy, egg-free, gluten-free, grain-free, nut-free, peanut-free, optionally soy-free, vegan, vegetarian, and generally top food allergy-friendly. This frosting does have a surpising milk chocolate taste that everyone will enjoy. The touch of maple syrup is key, in my opinion, for mellowing and merging the flavors just enough. Sift the cocoa powder and powdered sugar into a mixing bowl. Add the remaining ingredients, and mix on low speed, to help prevent powder from flying everywhere, until everything is incorporated. Then whip for a minute on a higher speed to make it a little fluffy. Frost your cake or cupcakes as desired, or eat it straight from the spoon! My favorite cake mix is Betty Crocker’s GF cake mix. You don’t even have to whip it according to the instructions- just mix it, and it’ll turn out to be really moist and delicious at the top. Good even if you don’t ice it. There is, however a warning about it possibly continuing soy- probably due to cross contamination. And it only lasts a few days before getting hard (The second day’s the best) so don’t try making this a week ahead. I found your recipe via a Google search and it is amazing. I have never made frosting before and now that I’ve developed dairy allergies I didn’t know what to do. My husband tried to eat it before I could finish frosting the cake. I can definitely say that my GF cake is going to be a disaster but the frosting is exceptional. Thank you so very much for this. You’ve made my birthday a bit brighter. THANK YOU!!!!! This recipe is awesome!!!! Thank you for sharing it. My child suffers from major foods allergies. So nice to make a special treat that is delicious! She is so brave and simply wished for an allergy friendly birthday with chocolate frosting. Thanks to you this wish came true. You have no idea how happy you have made a little girl. Bless you. Aw, you’ve brightened my day, too – just picturing a little girl’s smile! I made this with Fleischmann’s margarine (dairy-free) and soy milk. Great recipe! Thanks for sharing what you used and glad you enjoyed the recipe! 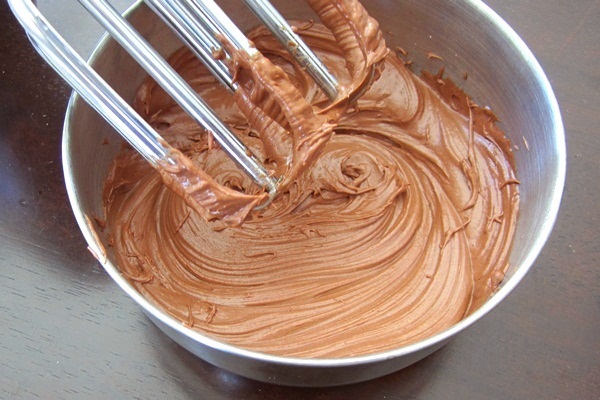 This is the BEST chocolate frosting recipe I have ever made. Simply delicious and everyone (even those not dairy-free or vegan) love it. I typically make a double batch for a standard 2-layer cake. So glad you love it Kristine! It’s one of our favorites, too. Not sure how I screwed this up but it’s definitely not frosting but powder still. Any ideas? I followed the directions EXACTLY. 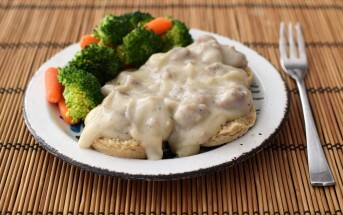 I’m thinking something must be amiss, as we make this once a month, I’ve had many viewers email on this recipe with enjoyment, and it is purely creamy. Did you pack down the powdered sugar and cocoa? They should be measured like flour, not packed. Perhaps you haven’t added the margarine? Again, this is a very creamy recipe, tested by many, it shouldn’t be even close to powdery. I would blend in margarine and liquid until it reaches your desired consistency. It does freeze, but don’t try to heat to defrost. Simply let it defrost in the refrigerator or at room temperature and give it a quick whip for best results. 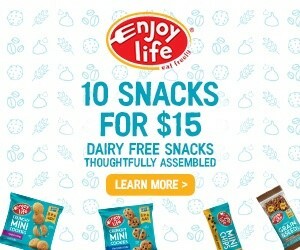 We are now dairy free because my kiddos have dairy allergies. I was skeptical when it said it would taste like milk chocolate (cause I love my chocolate!) but this icing was amazing, and it did taste like milk chocolate! It went on some yummy cupcakes… and I ate the rest right out of the bowl… Thanks so much for the recipe! I love this frosting! It’s absolutely delicious and pipes nicely, too! This looks much simpler than the vegan frosting I usually make, and sounds very tasty, I will be trying it soon! 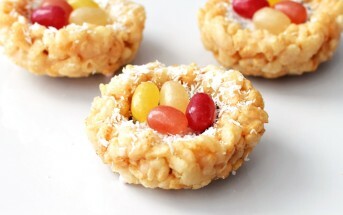 I love Nicole Hunn’s(Gluten Free On a Shoestring) recipes! I have always been successful substituting the dairy with my fav. 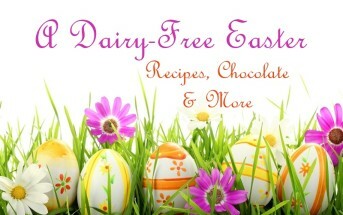 dairy alternatives in her cake and cookie recipes. The rolo cupcakes are awesome(I use regular, unsweetened coconut milk in place of the cream in the caramel recipe with good results). I can’t wait to explore your sight, and try your recipes! I am so so making this recipe! I love it! My best friend makes this for me .. it is like a brownie cake and I plan on using this frosting to slather all over it next time she makes it!! That sounds amazing Jennifer. Thanks for sharing the recipe! My kids would love this! I’m with you too – I am happy to make them a treat like this because I know I can control the ingredients. Cupcakes are a treat, my bases are usually healthy flours and sugars and then I go over the top on the icing 🙂 Happy for Tony! I love frosting. Too much. This looks amazing and similar to what I make, but I love the maple syrup addition! Brilliant! Perfect filling for the GF vegan oreo cookie recipe I stumbled across at She Let Them Eat Cake! And as a waffle topping. With strawberries. Yum! Many thanks! I saw those Oreos, don’t they look amazing? Yes, a perfect match I think! I always requested the piece of cake with the most frosting. That’s the best part, isn’t it? I don’t have a cake recipe to recommend, but I bet this would be good on a cookie cake! Those are better than regular cakes, anyway. Cookie cake! You are speaking my language Katie. Brilliant. Best dairy and gluten free moist chocolate cake ever. Even the non allergy people in my family love it! Thick moist and perfect woth this frosting receipe.